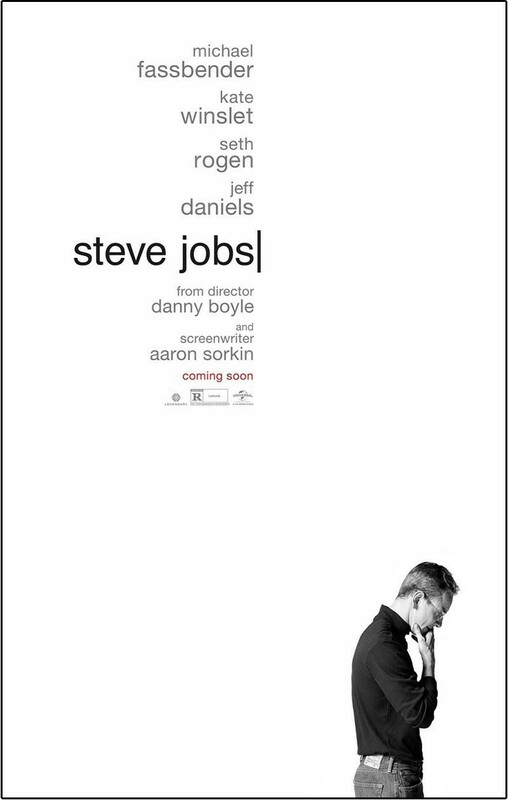 Near the end of this film, one of Steve Jobs earliest and closest associates, Steve Wozniak (Rogen) shouts across an auditorium, “It’s not binary. You can be decent and gifted at the same time.” And this pretty much sums up the focus of this movie. It is in fact hyper-focused on what a pathetic human being Jobs was in terms of his family and work associates. He may have been a genius but a difficult childhood and his disposition prevented him from being a likable person. The film looks at Jobs as three key moments: 1984, 1988, and 1998. These were important dates as far as the introduction of new Apple Products and each section takes place in an auditorium as he gets ready to announce his new computer. We see almost nothing of Jobs outside these venues; his wife and three children are never mentioned. Who is mentioned a lot is the child he denied: Lisa. This becomes part of the framing device of the movie: how Jobs lets down the illegitimate daughter who loves him and nearly everyone who crossed his path. The movie goes over this idea repeatedly. It is extremely well-acted. Winslet is brilliant as his assistant, Daniels as his one-time CEO, and Rogen as his oldest friend. And Fassbender is perfect as Jobs. But the concentration on these three pivotal moments left a lot unexplained. Someone who did not follow the Apple/PC race for supremacy would be puzzled for much of the film, perhaps only seeing it as a father’s denial of his child and bad-temperedness. And it played more like a stage play than a movie. Worth seeing but perhaps on a small screen.